The road trip has never been more luxurious. 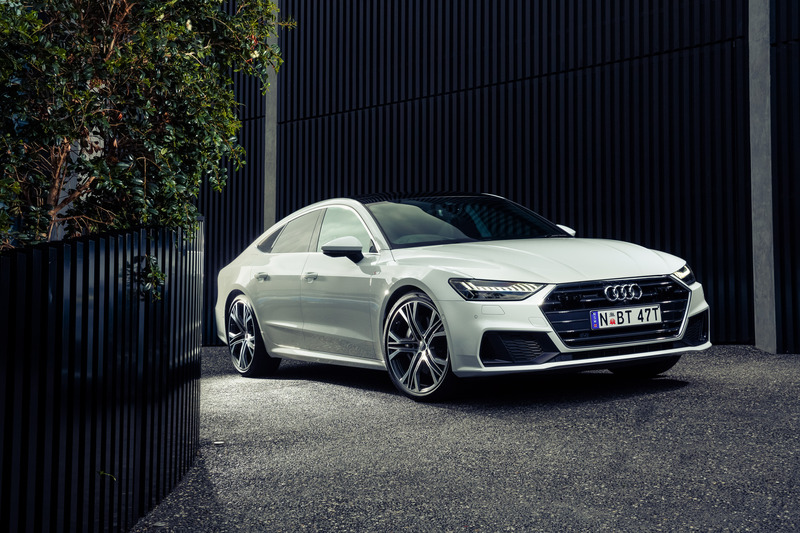 The AUDI A7 Sportback 55 TSFI grand tourer – a masterpiece of form and cutting edge function - has been crowned the most stylish new car on the Australian market, as the winner of the 2019 WhichCar Style Award at the annual Australian Motoring Awards. The WhichCar Style Award identifies the most desirable new car on the market, based on a comprehensive criteria that considers vehicle design in terms of six factors, including X factor; technology; exterior and interior design; and harmony of design and colours/textures. The verdict has been handed down by a panel of nine expert judges, headed by renowned Australian automotive designer, Paul Beranger, and including the likes of leading motoring journalist Glenn Butler, the editor of Belle magazine Tanya Buchanan, and renowned stylist Jason Grant. "It's vital that style is recognised in our motoring awards," notes WhichCar Content Director Glenn Butler. "Because even though we all talk about fuel economy and various other features, let's be honest, one of the most serious considerations we all have is how we'll look in the car, and how it will look in our driveway. Plus, we want it to work beautifully, too." A shortlist of six eligible new cars delivered an amazingly varied group of classy candidates, appealing to various sections of the automotive market. Finalists included Alfa Romeo's first-ever SUV, the Stelvio; Jaguar's futuristic all-electric I-Pace; the big and bold Ford Ranger Raptor 4WD; the sporty Alpine A110; and reinvention of a family favourite, the Toyota Corolla ZR Hybrid. The winner represents a return to classic auto styling. Audi's long, luxurious coupe-style sedan is paddling hard against the tide of premium SUVs that are currently the darlings of the new car showroom… but not everyone is enamoured with high-riding wagons. The A7 takes the sensible elements of a long-wheelbase, four-door sedan and combines it with the elegance and impact of a grand tourer. Its long, lithe rofline, low bonnet and compact glasshouse are combined in such a way that the proportions of the large A7 appear magnified on the outside, yet don't reveal themselves as a hindrance to the driver. The interior, too, is both a celebration of Audi's acknowledged cabin design prowess and its ability to offer a seamless, integrated driving experience, despite the cockpit being filled with high-end tech that many of us have never experienced. True style, a blending of classic form and modern functionality, in the shape of the Audi A7 Sportback 55 TSFI arrives at $131, 900. "This car lets no one down," notes automotive Design Consultant Paul Beranger, former Head of Toyota Style Australia. "It relies strongly on the overall profile of the car, almost one continuous line. And you're not only looking at the design, you're looking at the technology, thanks to the A7's array of AI [artificial intelligence]." Part of the Bauer Trader Media group, www.WhichCar.com.au is an online new car comparison website that utilises 60 years of motoring expertise to help consumers make an informed choice when buying a new car. The WhichCar Style Award was presented at the 2019 Australian Motoring Awards which has also seen the crowning of the Wheels Car of the Year, the MOTOR Performance Car of the Year and the 4x4 of the Year. WhichCar Style Awards, the contenders. Audi A7 Sportback 55 TSFI Wins 2019 WhichCar Style Award.